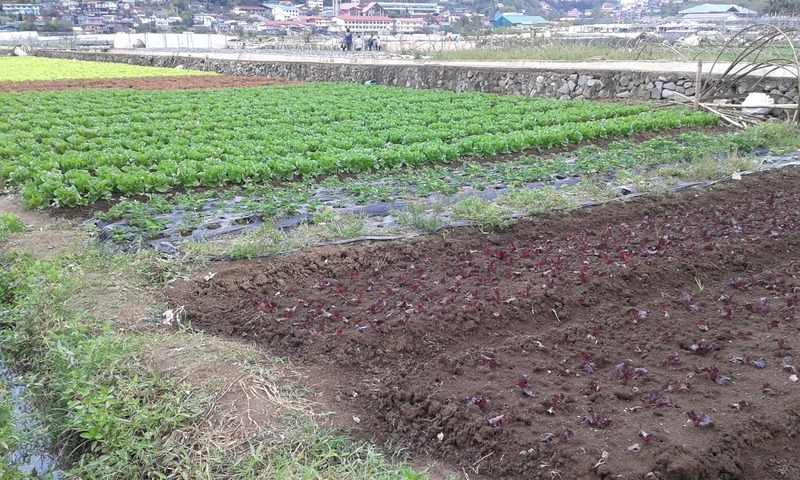 Baguio is famous for its cool weather and fresh produce. From Vigan, we travelled to the Strawberry Farm in Baguio where some of the produce you see in the city's market come from. 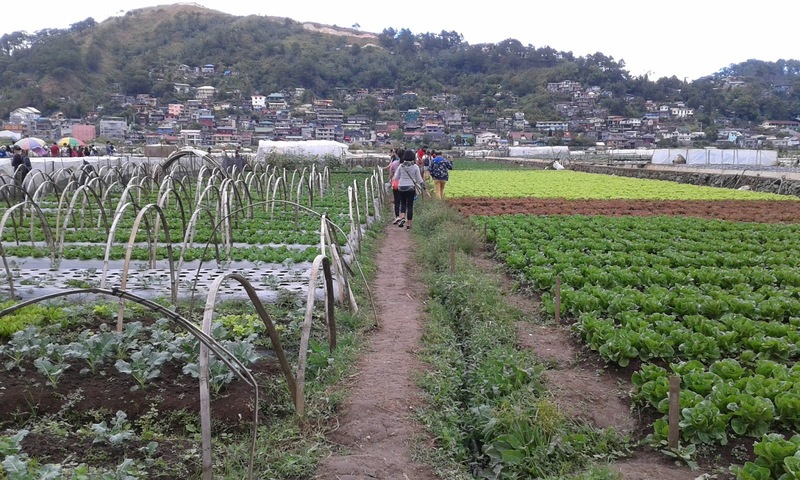 Trekking our way thru the abundant produce at the farm. 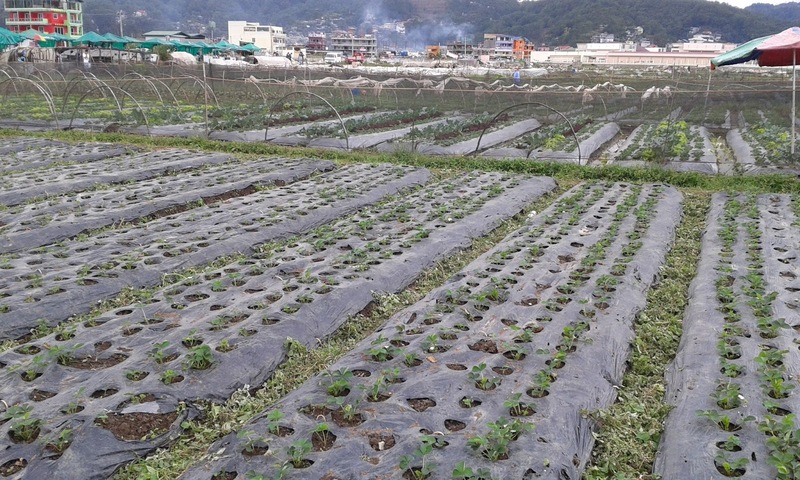 Although it is called the Strawberry Farm, other vegetables and even flowers are grown here. When we came to visit, there were also a lot of other visitors snapping pictures at every turn. Upon arriving, we had to wait for a free parking slot outside the farm to park the van. The farm is in front of a market where you can buy souvenirs and cold-weather necessities like mittens, beanies, shawls, woven ponchos and other items. There is also a paid toilet where most visitors line up for upon arriving at the farm. The street with rows of vendors for all your cold-weather accessories. Cold-weather accessories come in cute designs like these Panda caps and colorful woven hats. The farm is a large area with different plots for vegetables and flowers. When we arrived, we saw mostly different shades of greens. The flowers were further on inside the farm. The farm and its surroundings. Young plants being insulated from the cold. 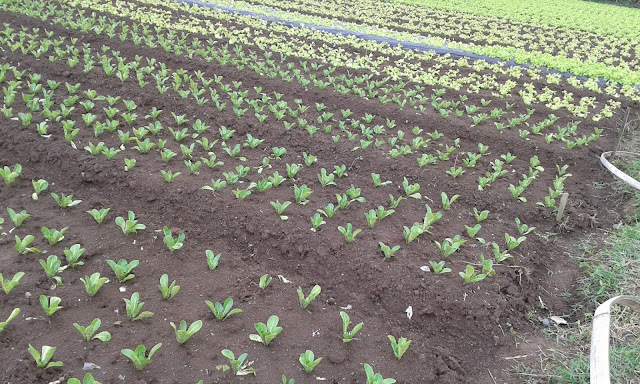 These little plants will grow up to be delicious and nutritious food. 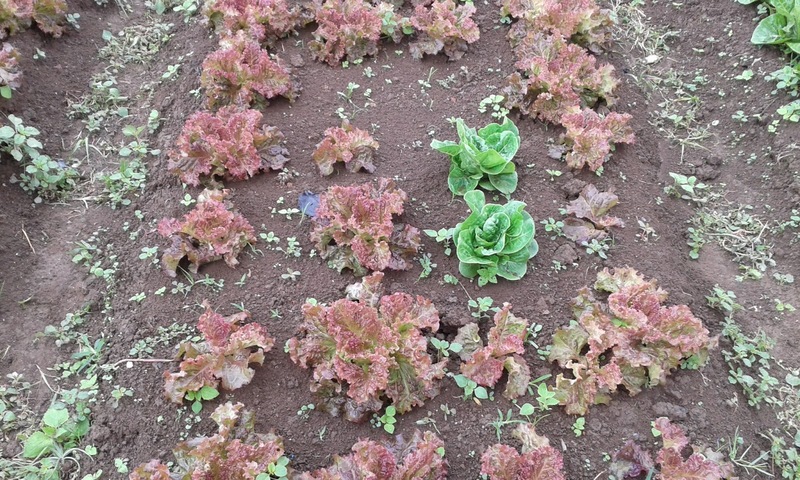 Every few plot grows a different kind of vegetable which makes a pretty color contrast from afar. Definitely a vegetable but looks like a green flower. 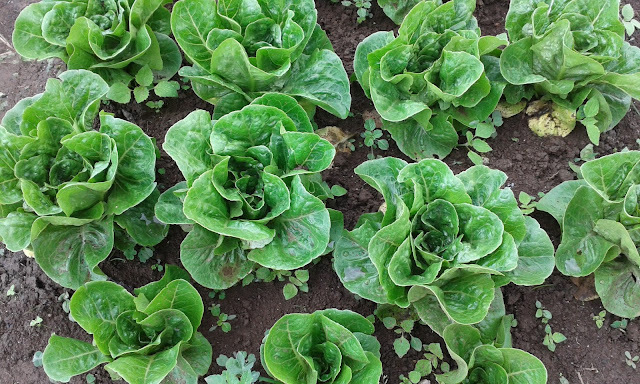 These lettuce made us want to order a salad. Not all leafy veggies are green as you can see here. Bamboo slats serve as protection to fence off these growing veggies. A nice contrast of colors. There were too many people around the flowers during the time we visited so we could not get close enough to take pictures. Maybe next time. It was surprising though to see large signs saying that taking pictures with the flowers costs Php50.00. I know this is a trend with dogs at Burnham Park but it seems that even flowers have a talent fee now. 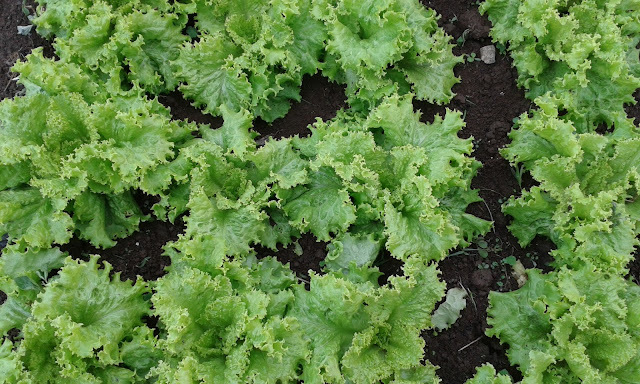 The farmers are on hand to assist you with harvesting produce which you can buy on the spot. The strawberries were still in their bud stage when we visited so we didn't purchase any. As for the veggies, we didn't buy any as well since we wouldn't be able to cook them as we were staying in a hotel. Our friends ended the tour of the farm with a purchase of a variety of fruits being peddled by the street vendors in the market. Discussing of buying the bigger or small citrus fruits perhaps? Since we had come a long way beforehand, we decided to go straight to the hotel to get some rest and unload our luggages. Of course, we had to travel slowly thru the city traffic but the cold weather definitely kept us cool-headed despite the slow travel time.